LOT OF 10 NEW DELL LATITUDE E6400 E6410 PRECISION M2400 LAPTOP HARD DRIVE CADDY. E6400, E6410, M2400. Compatible with: Dell E6410 and E6400. 1 Screw included for easy assembly. 5x for DELL LATITUDE E6400 E6410 Precision M2400 LAPTOP HDD Caddy Cover w/Screws. FOR DELL LATITUDE E6400 E6410 PRECISION M2400. We might require you to send us photo/s of the item received and also your original item so we can compare and conduct necessary actions. Dell Latitude E6400, E6410. Dell Latitude E6400, Precision M2400 HDD Caddy / black. Precision M2400. Caddy cover 1 screw. -Hard drive, is not included. Laptop Hard Drive Cover Caddy. Laptop Keyboard. Laptop Power Jack Board. Laptop Fan. 2 Hard Drive Cover Screws. 2 Hard Drive Covers. new arrival. Server Parts & HDD Caddy/Tray. It's YOUR RESPONSIBILITY to make sure that you are ordering the correct item. E6400, E6410, M2400. P/N: 0847C. FOR DELL LATITUDE E6400 E6410 PRECISION M2400. We might require you to send us photo/s of the item received and also your original item so we can compare and conduct necessary actions. This is our SOP, for us to be certain and for record purposes. 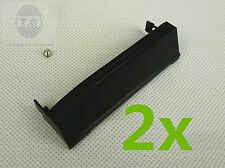 "New 10X Hard Disk Drive Caddy Cover for Dell Latitude E6400 M2400 Black". FOR DELL LATITUDE E6400 PRECISION M2400. We might require you to send us photo/s of the item received and also your original item so we can compare and conduct necessary actions. 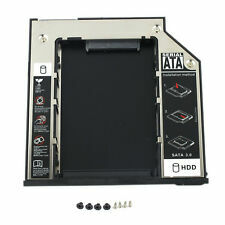 HDD hard drive caddy cover Door for DELL Latitude E6400 E6410 PRECISION M2400 ..
FOR DELL LATITUDE E6400 E6410 PRECISION M2400. Note: Light shooting and different displays may cause the color of the item in the picture a little different from the real thing. 1 x Hard disk cover. 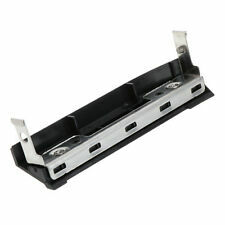 Model: for dell latitude E6400 E6410. 2 X Screws. Plug and play, easy to use. Modular construction, you can just remove the CD driver and put this in the slot. Quantity: 1 Set. Due to the difference between different monitors, the picture may not reflect the actual color of the item. DP/N: 1M9KD. 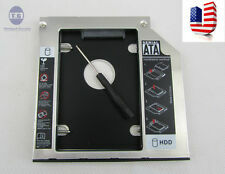 Latitude E6400 E6410 Precision M2400 Laptop Hard Drive Caddy. Genuine Dell. DP/N: T048P. Latitude E6400 E6410. Precision M2400. Hard Drive Caddy Cover. This universal Serial ATA Optical Bay Hard Drive Adapter lets you add a second hard drive to the laptop systems. Add this caddy to your laptop to give you another hard drive. Simply remove your CD/DVD-ROM drive and put the Caddy (with the added sata hard drive) in it's place. MPN: INBL00EB05K7011. Model: Latitude E6400. 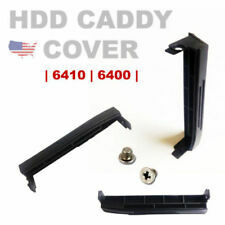 1 Dell Latitude E6400 HDD Caddy Cover. Type: HDD Caddy Cover. This fee will be collected upfront before work on the order begins. Form_Factor: Laptop. Also you will find all the parts that you may need for your computer, laptop from motherboards to power supplies. C612C Dell Latitude E6400 ATG 1.8" SSD Caddy/Carrier SATA BOARD complete NEW! 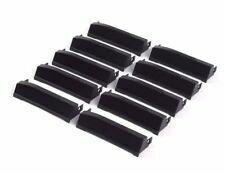 0KR982, EA032000400, JBL02, JBL00, LS-3808P, C612C, 0C612C, GY025, 0GY025 KR982. Hard Drive Caddy Details. Part taken from a good, working Dell Laptop. Dell OEM Original Part. Tested and Verified working. These pictures show what will be included with the part portrayed. Need Help Deciding Which Part to Buy?. Part Number - T048P. (LOT OF 10). Dell Latitude E6400, E6410. Precision M2400. -Hard drive, is not included. -Compatible system. NEW GENUINE DELL LATITUDE E6410 E6400 M2400 HARD DRIVE CADDY T048P 1M9KD --- Payment: · We accept DEBIT, CREDIT, & PAYPAL ---Shipping: · Free shipping · We ship it out 1-2 days after your payment have been completed ---Return Policy: · Please contact us for return items · 30 days warranty · Exchange on certain items ---A15K03 Store: · If you have any problems, don’t hesitate to contact us. We will reply to you within 24 hours. · We maintain a high standard of excellence & strive for 100% customer satisfaction. PLEASE contact us before giving your feedback! This way we can satisfy your concern~! Loc : An20 · T H A N K Y O U ! 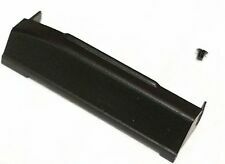 [View more great items] (https://www.ebay.com/sch/quality.parts93/m.html). This lot is a one unit Dell E6400 caddy New.